Dr. K. M. Vasudevan Pillai, Founder, Chairman and C.E.O., Mahatma Education Society’s Pillai Group of Institutions was invited to address the gathering of Soroptimsit International members at the Installation Ceremony of Dr. Lata Krishnan as the President of NASI on 27th November, 2016. The programme was hosted by SI Bombay Chembur. Dr. Lata Krishnan of MNDC, Chembur led a Road Show in Kodaikanal on the theme “Educate to Empower”. The Road show comprised of a Rally, Street Plays and a speech in Tamil. It was performed in the market place of Kodaikanal, Tamil Nadu. 73 participants from different states of India participated in the Road Show. 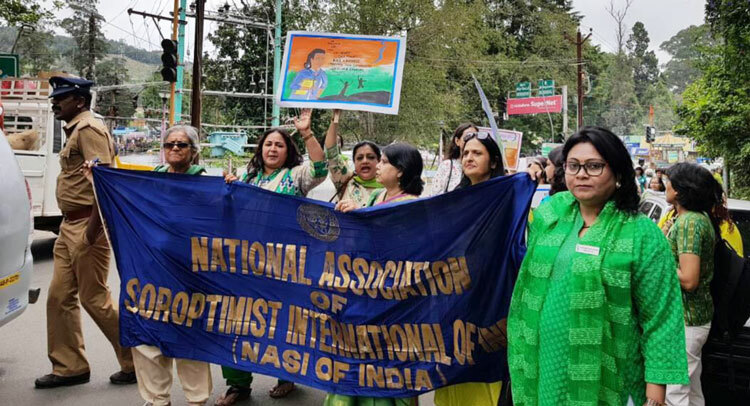 It was organized by the National Association of Soroptimist International of India. An article on the mega event was published in the local newspaper.